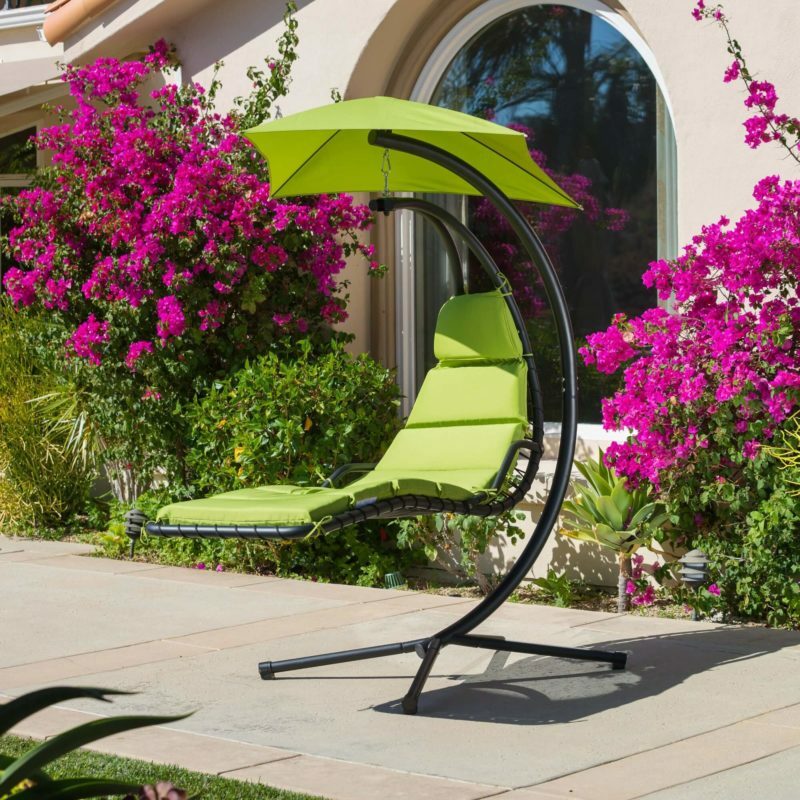 Best Choice Products Hanging Chaise Lounger Chair is one of the best hanging porch swings for outdoor use. Available in three variant colors, this swing is the epitome of style and performance. 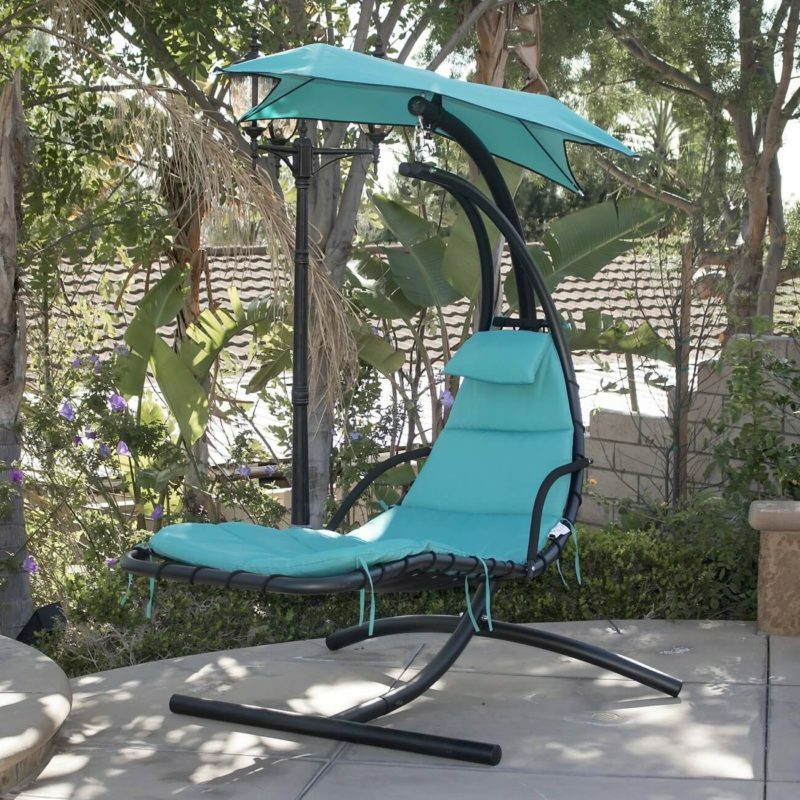 1.0.1 Why Use the Best Choice Products Hanging Chaise Lounger Chair ? 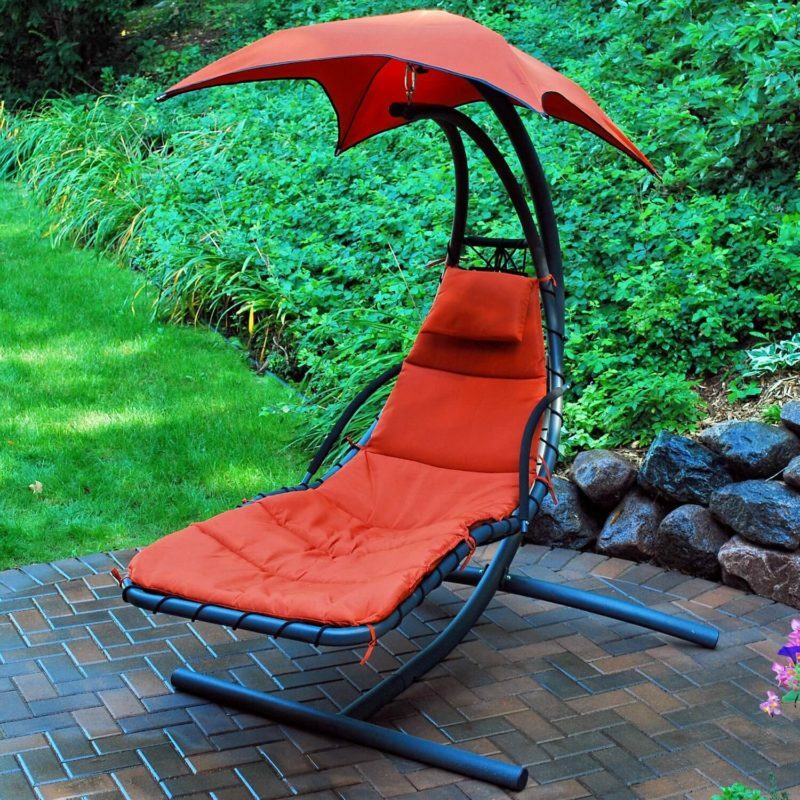 Why Use the Best Choice Products Hanging Chaise Lounger Chair ? The heavy duty metal frame and the curved design of this swing chair make this swing chair one of the best porch swings. The shade over the head protects you from harmful UV rays and the thick foam covering gives extra comfort to the user. Build and construction: The skeleton of the swing comprises of heavy duty powder coated metal frame which provides extreme strength to the swing. The canopy over the head protects you from sun rays and is removable for use during pleasant days. The design of the swing is extremely stylish and can enhance your outdoor spaces. The swing is available in three different colors which are orange, blue and green. Weight capacity: Comfortably carrying a weight up to 265 pounds, this swing can carry 2 people at the same time. The overall dimensions of the assembly are 73″(L) × 46″(W) × 78″(H). Comfort: The curved look and design of the swing is meant to provide comfort to the user. You can either sit with your legs spread comfortably or you can curl up and take a nap. The 2 inch thick foam covering, PVC coated polyester cushion of the seat provides extreme comfort as well, feeling soft and relaxing to the user. Durability: The heavy duty metal frame provides extreme durability to the swing and gives additional strength. It can be used during any weather and is suitable to use on windy days in your outdoor spaces. Read more about best porch swing reviews here.. This product forms our best pick due to a number of reasons. The first aspect is its comfort provided due to the curved design and the foam material which is used. It is also extremely durable and the metal frame provides extra strength. You can either take a nap with the overhead canopy covering you on a sunny afternoon or simply curl up and read a book.